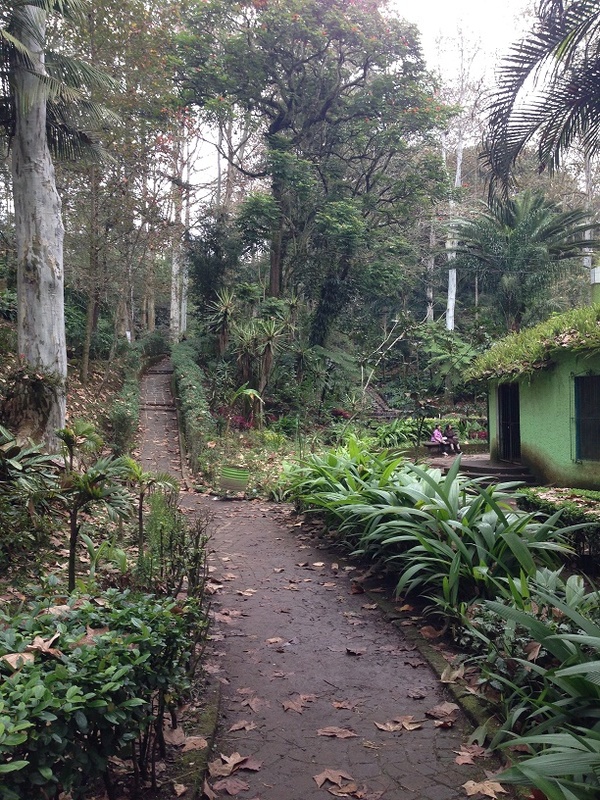 Last time I ascended a stunning mountain road and then rocketed down the slope to the jungle city of Xalapa. This time, I fall promptly in love with the place—even as I feel more alone than ever. 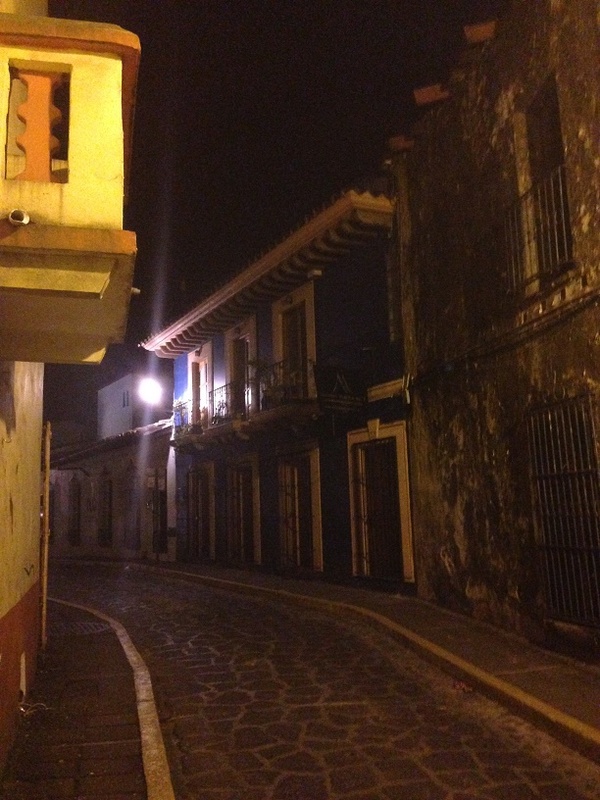 Just a regular street in Xalapa. There was something thrilling about being in a real city again. A few of my stops were big-ish, like San Miguel, and Tula’s downtown certainly looks like it belongs in a sprawling metropolis, but Xalapa is a whole different caliber. As an example, my first night there I struggled to choose between three sushi places. A street in the Centro area. Skateboarders loved this spot. There are more public parks, and better ones, than I’ve seen anywhere in Mexico. 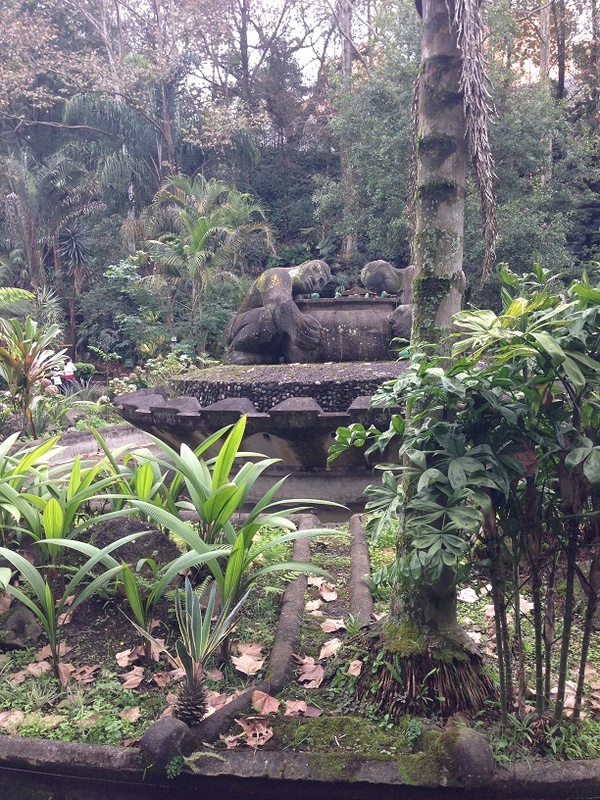 These range from small statue gardens to typical Mexican squares to sprawling nature walks. Many streets are divided boulevards with landscaping in the middle. And you feel like you’re in the forest at all times (because, well, you are) with trees providing canopy between buildings. 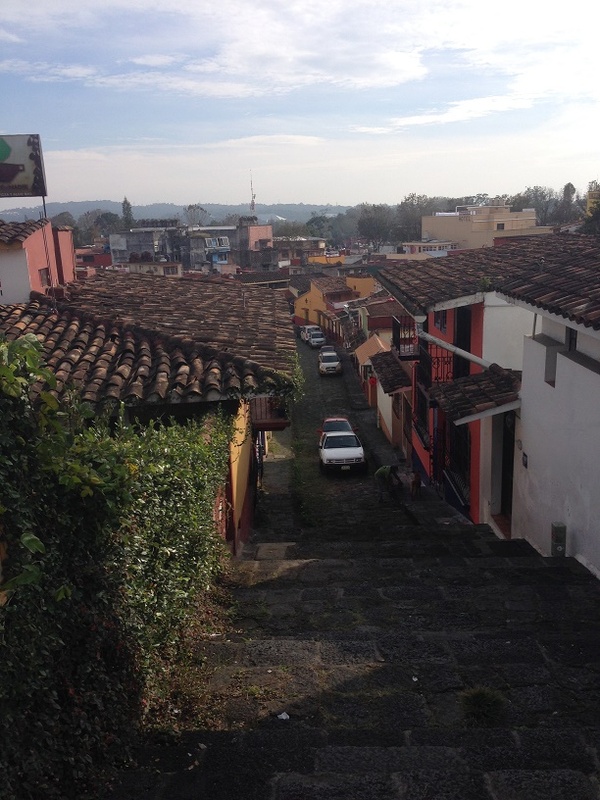 Xalapa is known as the Athens of Mexico. It’s one of the oldest cities and had some of the first schools of the Colonial period. It has continued to be a hub of higher learning, the arts, and music through today. Even just the street musicians are a caliber above the rest of Mexico, much like those of New Orleans compared to the rest of the US. As far as I can tell there are more coffee shops per capita than any city in the world. 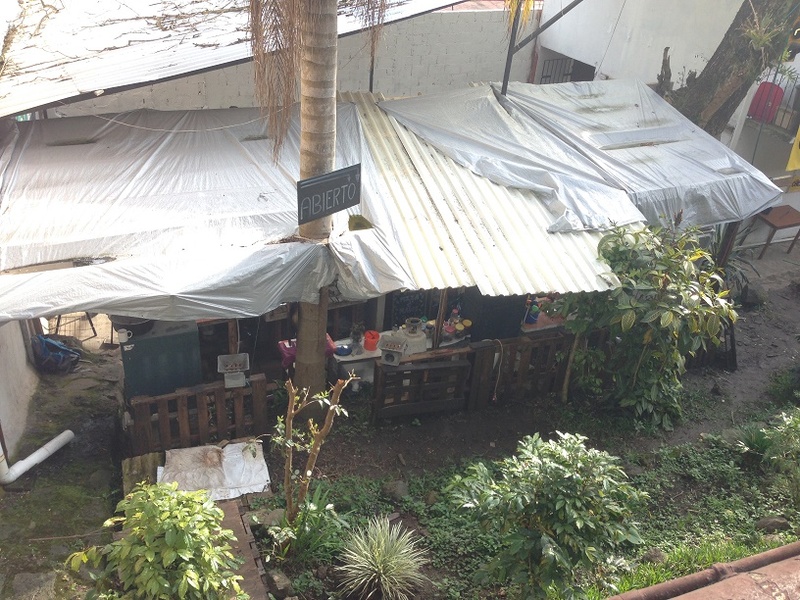 I even saw multiple tea houses, a rarity in Mexico. An outdoor kitchen that makes fantastic breakfasts. There are probably some downsides to Xalapa, but I had a hard time finding them. Getting around might be tough: it’s as hilly as you’d expect for a mountain city, with lots of narrow winding roads. That could also make biking difficult, and I didn’t try out the public transportation. On the other hand, taxis were abundant and cheap. Similarly, as with any city it’s probably only as nice as your wallet allows. But that’s what struck me: I wandered far and wide and never found a slum. I’m sure one exists, but it seems to have less poverty than most Mexican cities. Plus prices seemed overall reasonable. I was able to get plenty of cheap meals at nice little restaurants, including a Japanese noodle shop and an Italian kitchen. 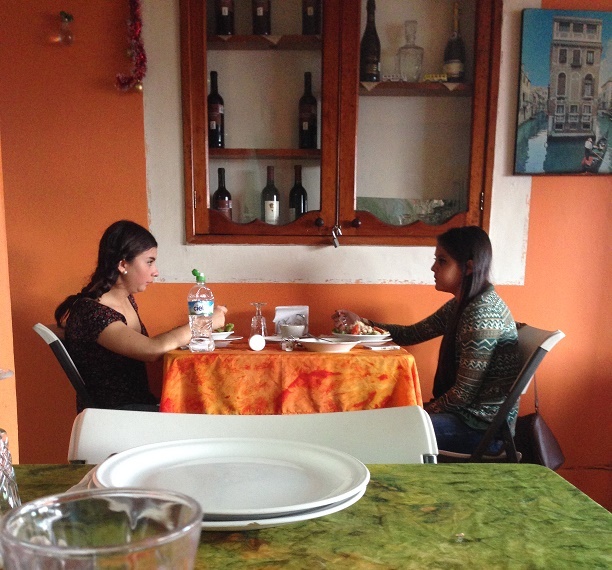 Two women chatting at my favorite Italian restaurant in Xalapa, Trattoria Giovanni. One thing I noticed the first day, Monday 12/22, was that I was treated like a normal human being. In much of Mexico, foreigners are treated like something of an oddity. We’re either an annoyance to be dealt with or we’re just a walking bag of money. Here, I was regarded as one more face in the crowd. I didn’t get any special treatment, which is how I like it. 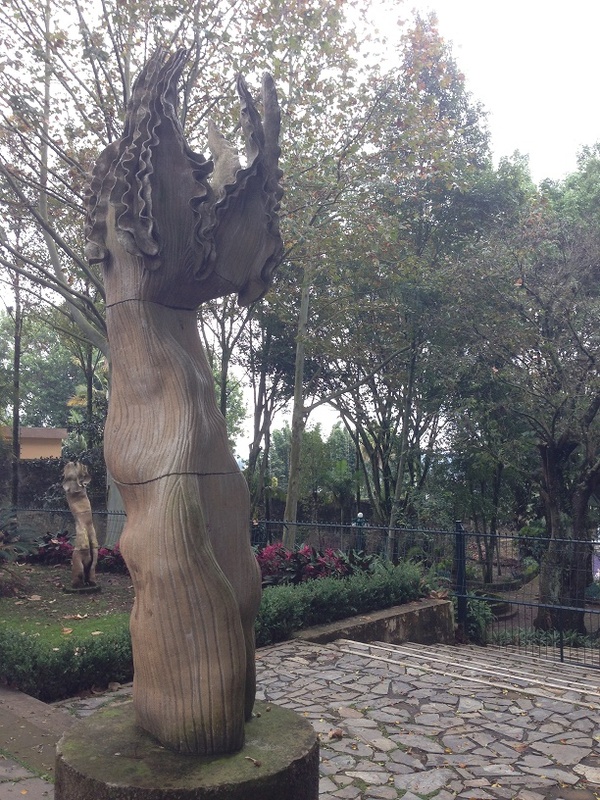 One of many public sculpture gardens in Xalapa. This attitude also extended to the local art scene. I walked past a building full of art studios, and paused as I realized these were actual studios, where artists work on their fine art—not tourist shops. I strolled past adverts for classes in sculpture, painting and drawing. There seems to be a true arts scene in Xalapa. Likewise I could hardly choose a street to go down without tripping over a book store. Bookstores themselves aren’t unusual, but this many of them is. 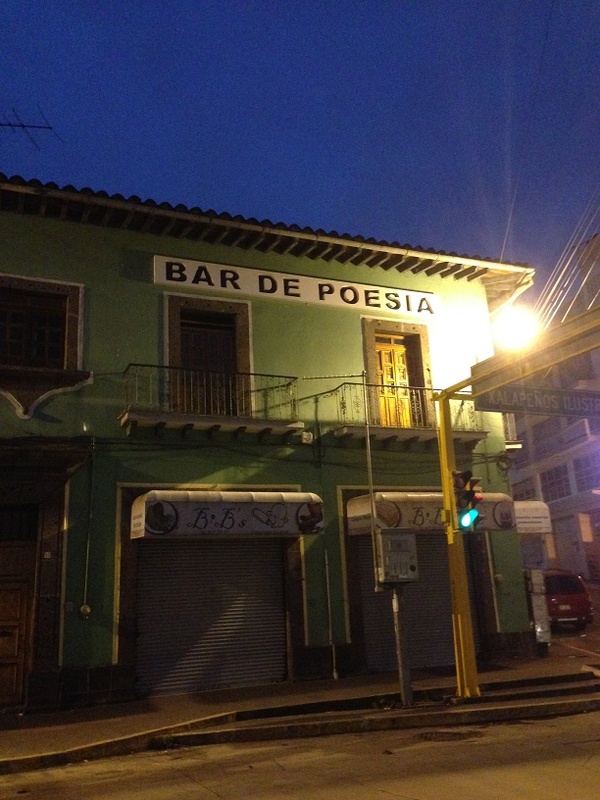 Once I found myself on a street where no less than three used bookstores occupied the same block as a second-floor bar called Bar de Poesía. Strong literary scene? I’m guessing yes. What really struck me was how the arts were woven into everything. They weren’t confined to one neighborhood, but seeded throughout the city. On the second floor of one old house I spotted a coffee shop that also offered economy breakfasts, pizzas in the evening, and dance classes twice a week. 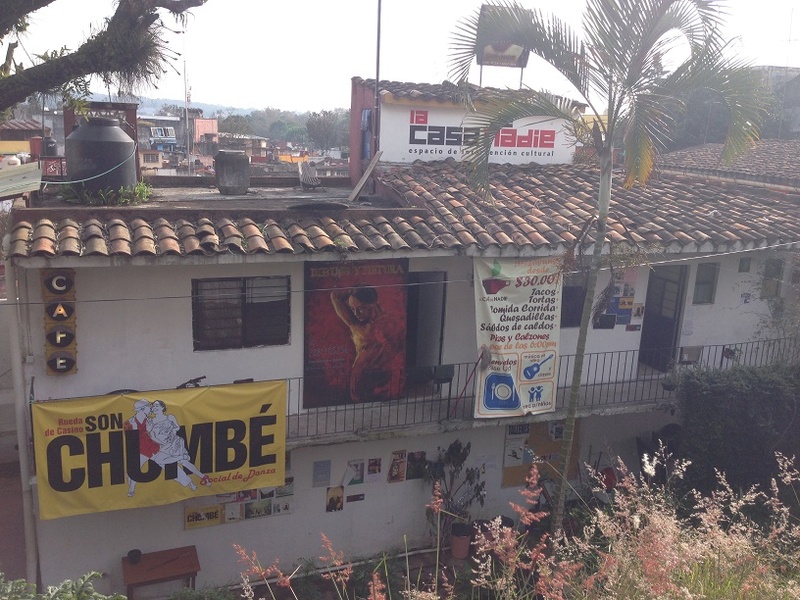 This is the cafe/cultural center, “Casa Nadie.” The name is a reference to a famous Mexican novel. It might seem strange not to go to a museum in a city like this, but I didn’t have to. Everywhere I went I felt the pulse and hum of living art. This is something very few cities can lay claim to. New Orleans certainly can. I’m told Paris can, too. Xalapa is in some good company. 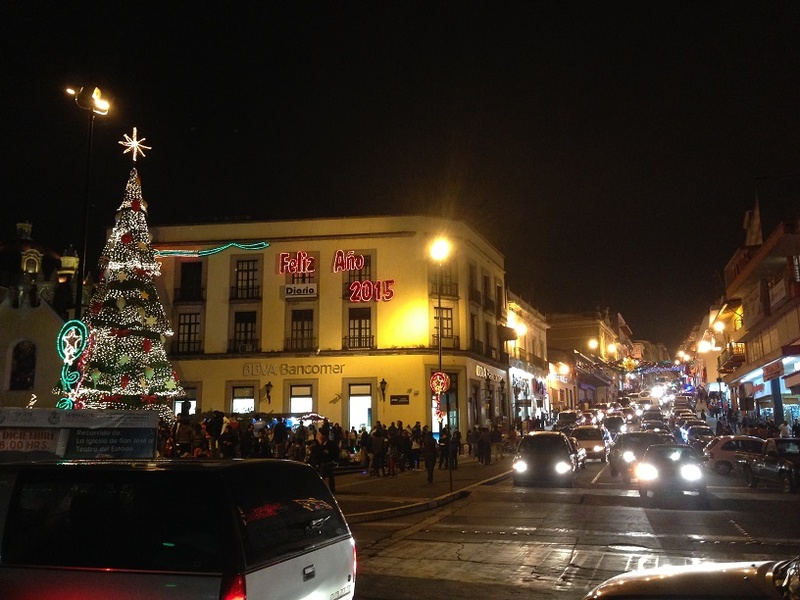 The tree in the Centro. Part of the romance of my stay was undoubtedly the Hotel Salmones. It’s not an expensive hotel but it has a historic building and I loved my room. With a carpeted floor, white walls and dark wood trim, it looked like somewhere a writer would live in the 1930s. It had an actual writing desk, hard to find on this journey. To complete the air of faded luxury, there was even a burn mark from an iron in the floor. This hotel put me just one street over from the centro. There, a giant cathedral loomed over a small square facing a government palace. The square was taken over by a towering Christmas tree, an expansive nativity scene, and a small night market. American Christmas carols blared over one loudspeaker while cumbia blared over another. Residential alley one street from the Centro. I passed this scene many times a day, and I’ll admit some loneliness. At one point, probably on Christmas Eve, I saw doñas carrying big covered platters on every side street, undoubtedly hurrying to dinner with their families. The holiday came and went, and I was far from everybody I love. It’s sometimes spelled Jalapa. Either way the initial sound is an H as in Harry. People from this city are also called Jalapeños! 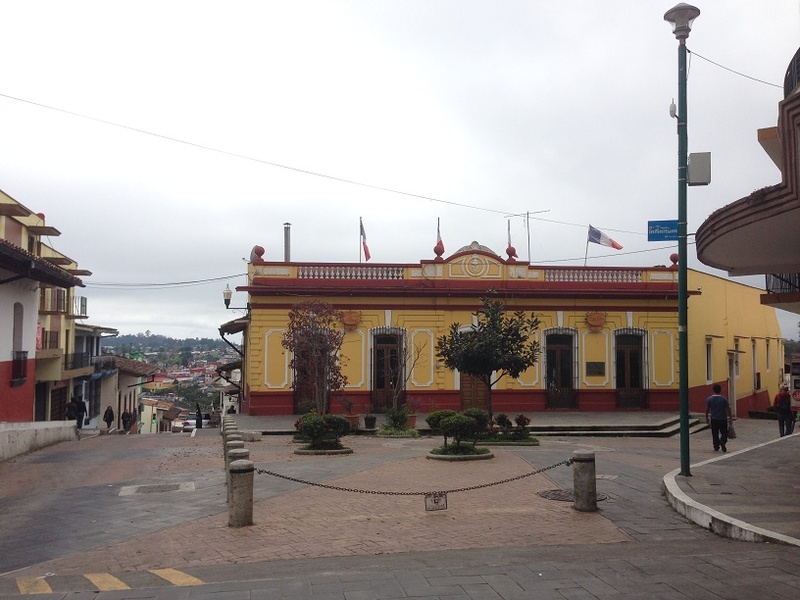 Despite being over an hour from the coast, Xalapa is the capital of Veracruz. You’d think the city called Veracruz would be, but no, that’s just a big dirty port town. This is also one of the first places I saw Yucateco (Yucatán style) restaurants, which made me feel a lot closer to the end than I was, and one of the first stops where I could easily order wine at most restaurants (beer is much more common), which made for a couple of long lazy evenings. A public park in Xalapa. A trail in the same public park. 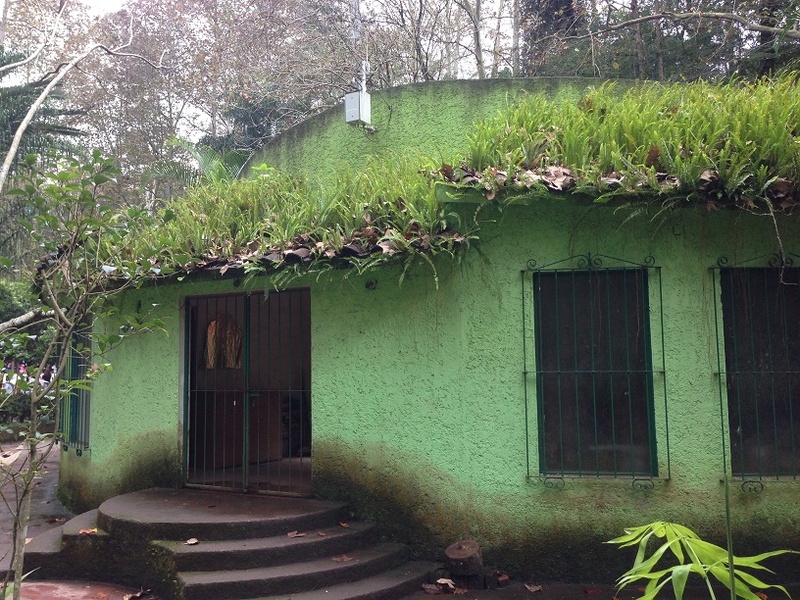 A hut in the same park. Yes, open to the public. I truly hope to return to Xalapa someday. After the Mexico bicycle ride I plan to do a writing sabbatical, and I’d intended to spend it in the Yucatán. But I’d only been in Xalapa two days or so before I started contemplating coming back instead. Even if I don’t do that, I can’t imagine that I won’t live in this city at some point in the future. Only time will tell when that might be. 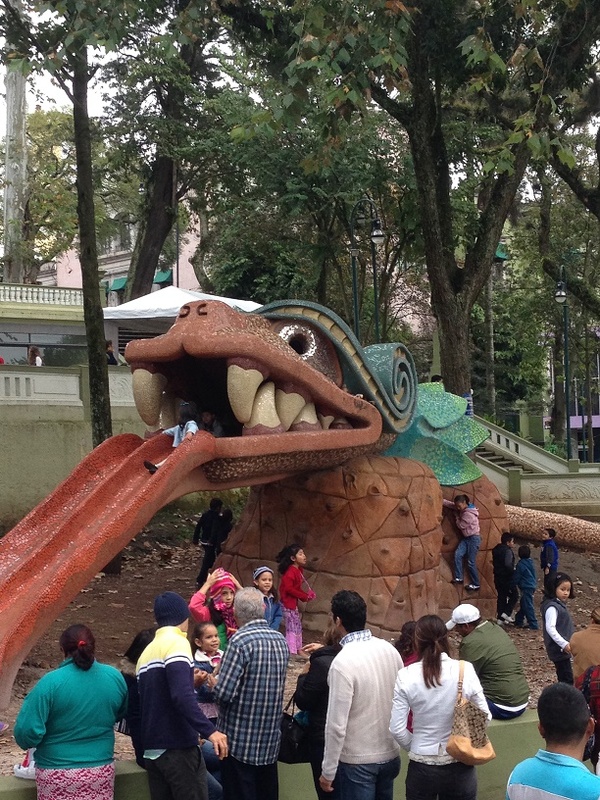 A playground in Xalapa. Yes, the dragon is a slide. Its tail winds through the whole playground and eventually becomes a jungle gym. Instead of the three days I planned, I extended my stay to four because of how it lined up with the holidays (at least, that’s what I told myself). I’d much rather be in my familiar room at the Salmones for Christmas than out on the road somewhere. That road is calling, however, and next time I’ll set back out for the city of Veracruz, the glimmer of the Gulf of Mexico, and everything beyond. Until then, become a supporter and get a post card or check out my other road logs.